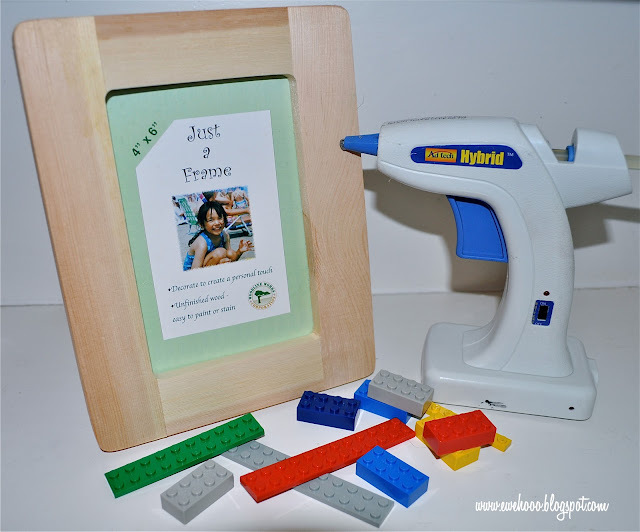 Wanted to share some easy Lego craft ideas from Jackson's Lego Birthday Party. These Printable LEGO Soap Tags are now available in MY SHOP! Since time was not on my side when planning for this party, I decided not to make the Lego Man soaps myself and instead ordered some from Broken Road Farm HERE. But if you want to make them yourself, you can find detailed instructions at Roots and Wings. 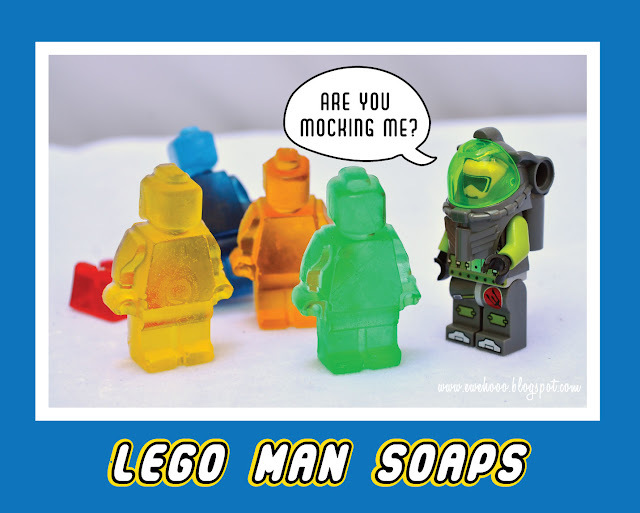 And don't forget, you can save time and buy pre-made Lego molds here. I used the time I saved to design the dry-witted packaging that went over the heads of my target audience. But I digress. 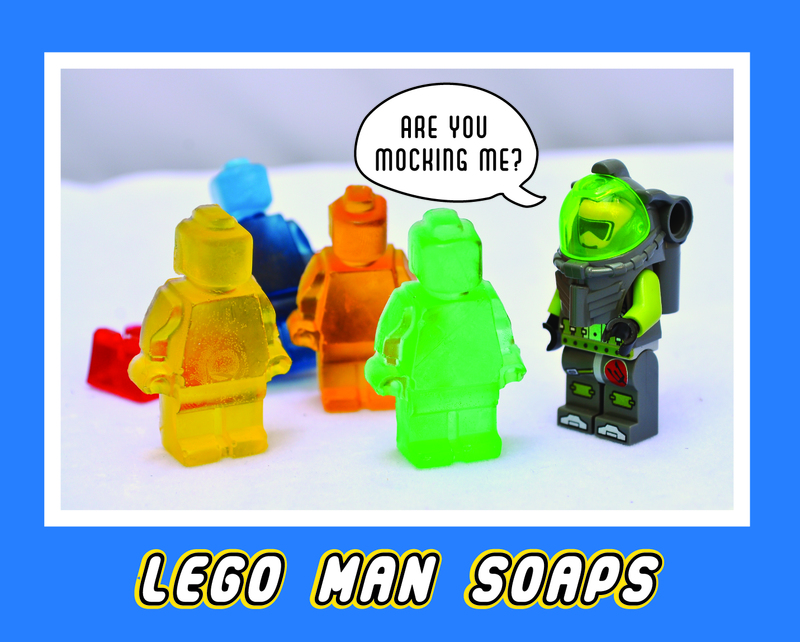 These LEGOMAN 4x6 Printable Pictures are now available in MY SHOP! 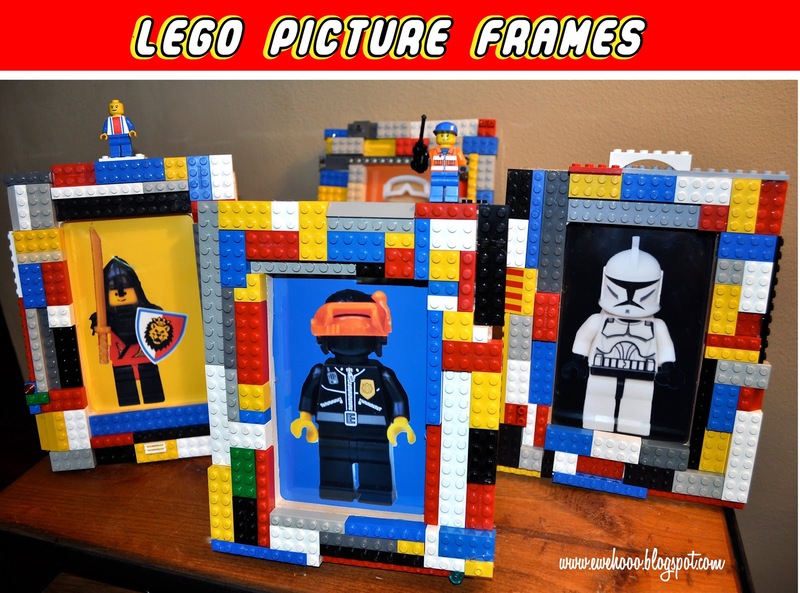 I made these Lego frames while sitting in front of the TV one night hot gluing real Legos onto wooden frames from the craft store. My idea was to take a picture of each party goer and their lego creation and put it in the frame to give them at the end of the party. But the kids liked the Lego men I put in the frames so much, I didn't bother and just gave them the frames as-is. The kids really liked being able to put their Lego men on top of the frames. They were a hit! Easy Prep Lego Food "How To's" here. Hope these ideas might inspire you to plan a Lego Party for your kids! So fun! The ideas for this party just keep getting better! Wow! 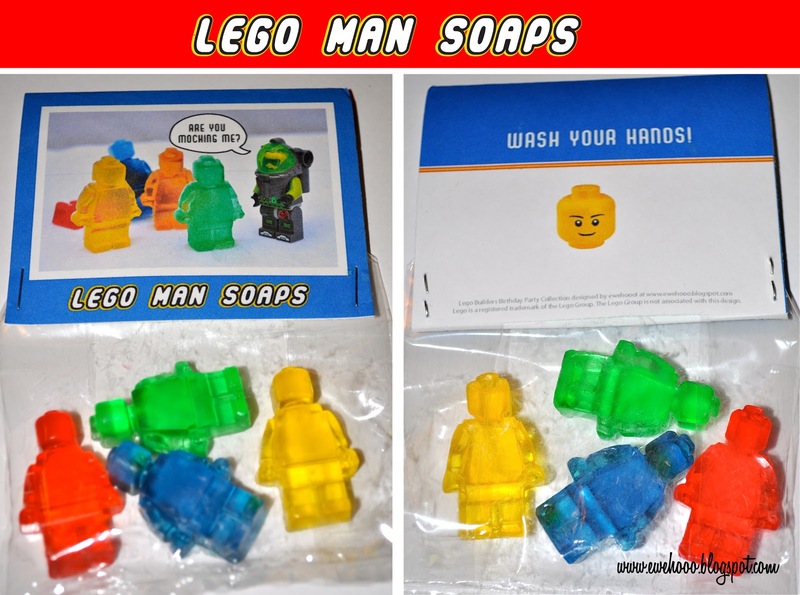 All those Lego items are so cool! They'd really be perfect for party give-aways. I wish I had seen this before I did a Lego themed party for my boys. Really great party favors and ideas! looks like a kid fantasy come true! Great! Can't wait to see all your cool lego posts this week!! Very cool, I love the picture frames. I have just linked to other Lego party ideas on my blog but missed your post. I'd love to share your ideas with other Lego parents. Wow!!! These frames are gorgeous!!! I am going to attempt for my son's bday party!! Where did you get the lego pictures for inside the frames??? They are really nice!! Thankyou!!! Happy to send the pics to you!. Experience the thrill of outdoor laser tag skirmish in a new and exciting way. It’s an ideal activity for kids and teenagers birthday parties! the playing area and set up the equipment. Welcome. I'm Melanie, an artist, illustrator, graphic designer, advertising consultant and mom to two awesome boys. I don't sleep much, but I love what I do! Easy Prep Lego Party Food "How to"
Jackson's LEGO Builders Birthday Party! A Garden Birthday Party - for Mackenzie! Blogs I love and "ewe" might too! My Mad Science Party Invites were featured here! ©ewehooo! by Melanie Crownover. Simple theme. Powered by Blogger.